2-3 green zucchini weighing 1 kg approx. Wash the zucchini and chop it into desired shape. Heat oil in a kadahi and add the fenugreek seeds,rai and cumin seeds and let them crackle. Add the chopped zucchini,salt and turmeric powder and cook under lid on low flame stirring occasionally till the zucchini becomes soft.If required you can add a little water during the above process. Add the sugar or jaggery and cook the sabzi till, the water left by sugar is reduced by cooking it without lid. 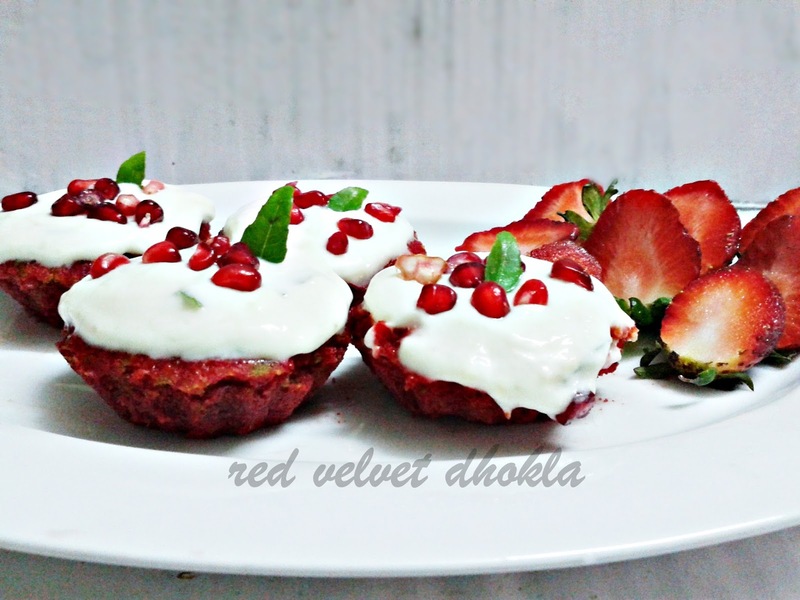 Garnish with coriander leaves and pomegranate seeds and serve hot along with crispy puries or soft puries. If you are using lemon juice in place of amchoor powder then add the same after switching off the gas because the lemon juice becomes bitter in taste after cooking. Boil Arbi in pressure cooker in 1 cup water for 2-3 whistles. It should be half cooked. Let it be cool then remove the peel. Cut the Arbi into 1-1.5" pieces. 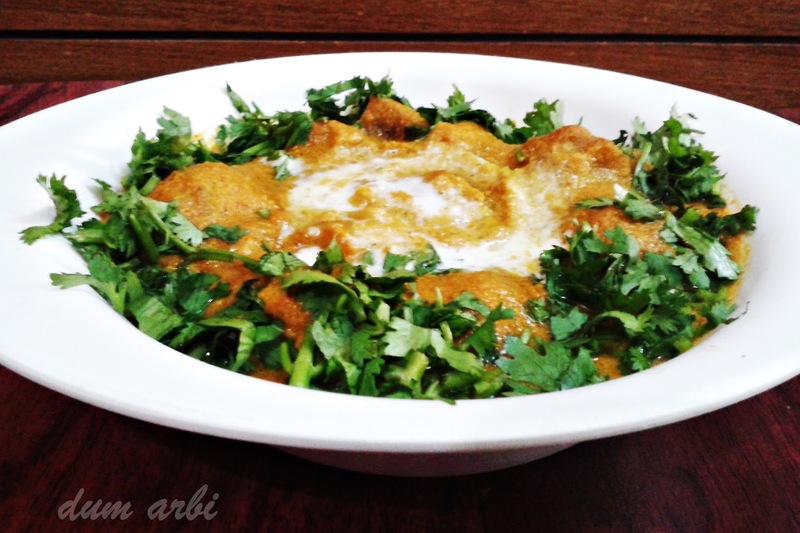 Heat oil in a pan and deep fry the arbi in hot oil. Prick the Arbi pieces with the help of a fork from all the sides.Keep aside. Take 2 tbsp oil in another pan and crackle cumin seeds. Add finely chopped onions,grated ginger and minced garlic to it and cook till the onions become brown in color. Add tomato puree and chopped green chilies and cook till the masala leaves the sides of the pan. Add salt and all the spices and two cups of water to the masala. Let the gravy come to a boil then add fried Arbi pieces to the gravy and simmer the gas. Cook under lid till Arbi becomes soft. Add curd and cream and cook further till you reach the desired consistency. Garnish with cream and coriander leaves and serve hot with chapati or parantha. Peel, wash and cut spring gourd in desired shape. Keep aside. Add spring gourd, salt and turmeric powder stir for a while and add approximately 1/2 cup water to it. 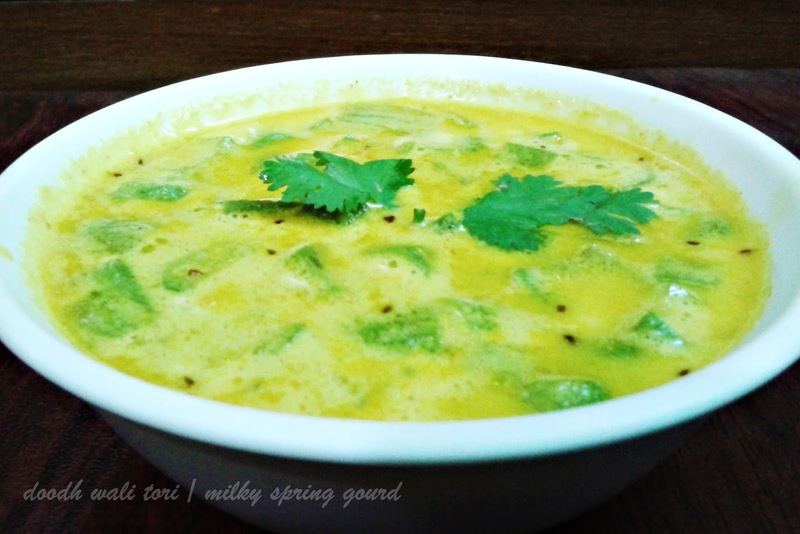 Let it cook till the water evaporates and the spring gourd becomes soft. Now add milk and cook till you reach desired consistency. Add sabzi masala or black pepper and mix well. 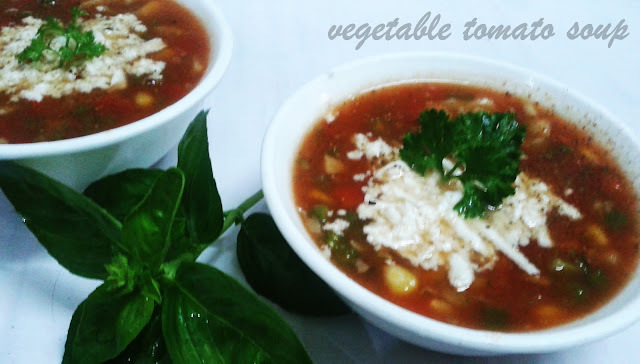 Serve hot with chapaati or parantha. 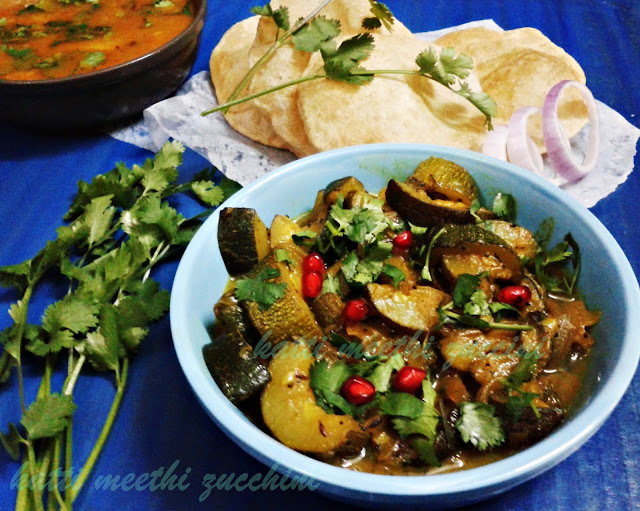 You can make the same recipe with bottle gourd as well. Boil 4-5 cups water in a pan,add 1/4 tsp salt and chopped cluster beans to it. Boil for 3-4 minutes and drain out the water, keep the beans aside. Heat the pure ghee or oil in a pan and add asafotida powder and cumin seeds. When the seeds crackle, add the onions, ginger garlic paste and saute on medium flame till the onions become brown in color. Add the cluster beans, salt,turmeric powder and ½ cup of water and mix well. Cover with a lid and cook on a medium flame for 5 to 6 minutes or till the beans become soft, while stirring occasionally. Add pureed tomato and rest of the spices and mix well. Cover with a lid and again cook on a medium flame for 2 to 3 minutes, while stirring occasionally. Add ketchup or 1 tsp sugar if you like it to be khatti mithi. Pressure cook tomatoes,onion,potato,ginger garlic,carrot,basil leaves and ghiya with 6 cups of water till 3-4 whistles. When the pressure releases mash the pressure cooked vegetables in a mixer or with a blender. Add salt.sugar and black pepper and cornflour dissolved in water and boil the soup for 3 to 4 minutes. Heat butter in a pan and add the finely chopped vegetables and corn kernels to it and cook till they become soft but remain crunchy. Add these vegetables to the soup and cook further for 3-4 minutes. Serve hot garnished with grated cottage cheese and chopped coriander. You can add tempering of one tablespoon heated oil with 1/4 tsp cumin seeds to the soup if you like spicy soup. Boil 5-6 cups of water, add 1/2 tsp of salt and 2 tsp refined oil, add macaroni to it and boil till it is done. Drain out excess water and rinse macaroni through cold water and keep aside. Heat olive oil in a pan and add diced onion and capsicum to it. Cook for 2-3 minutes till the veges become tender and crunchy. 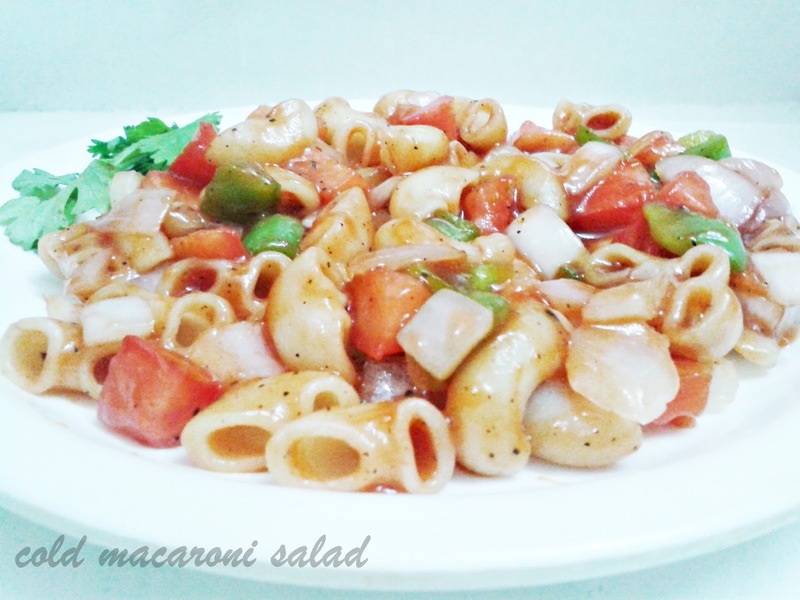 Now add cooked veges,diced tomatoes,ketchup, salt and pepper to cooked macaroni and mix well. Keep it in refrigerator for 2-3 hours and serve chilled. Combine all the ingredients together, except the fruit salt in a bowl and mix well adding water approx. 1/2 cup to make a thick batter and keep it aside for at least 10 minutes. Steam for 10-12 minutes and check with knife if the knife comes out clean then it's o.k. otherwise steam for 2 -3 minutes more or till the dhoklas are cooked. Cool slightly and serve immediately garnished with ,south indian style curd , pomegranate seeds and curry leaves. 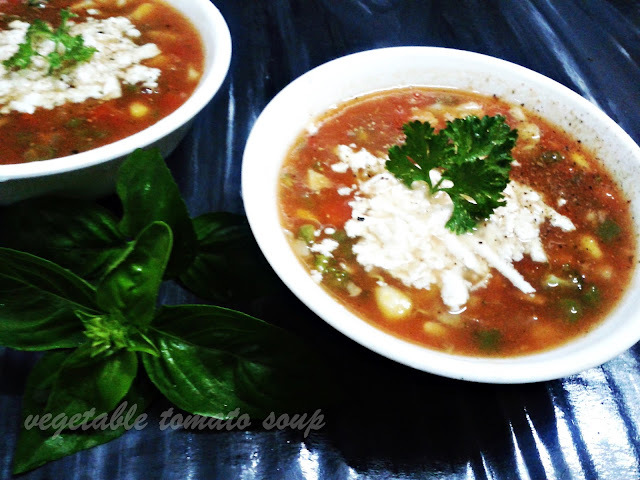 Serve with tamarind chuttney or green chuttney. 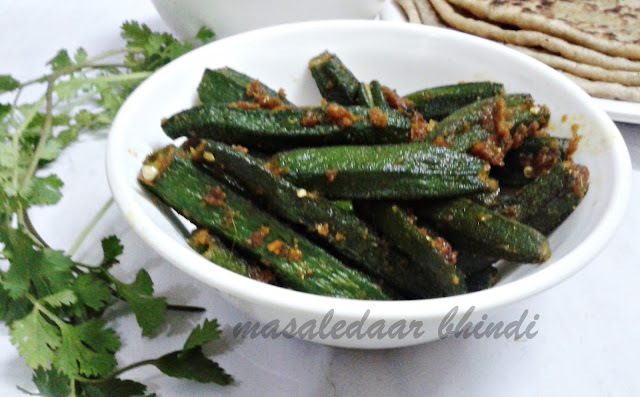 Wash the bhindi/okra well in water. dry them on a big steel strainer on their own or wipe with a kitchen towel. Remove the base and stalk while chopping the bhindi. Chop in desired shape or just slit it lengthwise. Heat oil in a kadai/wok or pan and crackle cumin seeds. Add the bhindi ,salt and turmeric powder and saute till bhindi is completely cooked. Add bhuna masala and rest of the spices, mix well and cook further for 2-3 minutes.